Week 1. 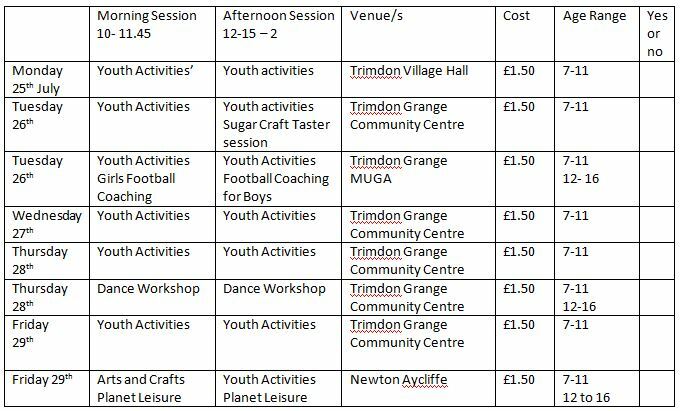 Meet Trimdon Village Hall on Monday and Trimdon Grange Community Centre Tue to Fri.
Week 3. 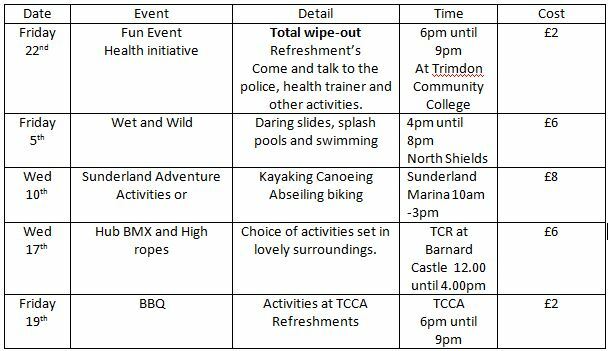 Meet at Trimdon Village Hall on Monday and Trimdon Community College Tues to Fri.
*** This includes Wristband and Transport.